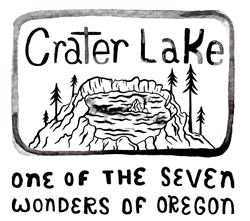 Your first stop on your Crater Lake adventure! Eugene - Springfield offers unique attractions, novel sights and distinctive tastes not duplicated elsewhere. Explore the nation&apos;s oldest operating hazelnut farm; tour TrackTown USA&apos;s historic legacy; or shop the Saturday Market, the longest running open-air crafts festival in the U.S. While here, stock up on groceries, camp gear and maps. 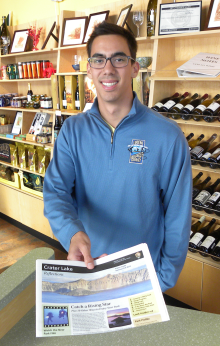 Cabela&apos;s is right around the corner from the Adventure Center in Springfield, and R.E.I. is in downtown Eugene. 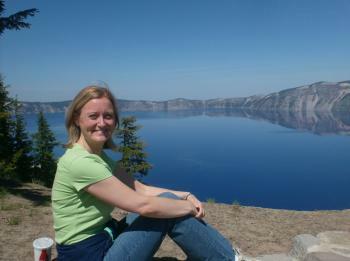 Crater Lake is one of Oregon&apos;s top natural wonders. Every year it draws thousands of visitors to view its brilliant blue waters. All around the lake is hiking, cycling and birding. A rigorous hike down to the water is rewarded with boat tours, swimming and fishing - but the hike back up is difficult - so be forewarned! In the winter there is snowshoeing. Crater Lake is the deepest lake in the U.S. It is also one of the purest, with visibility to 400 feet (122 m). The historic Crater Lake Lodge was built in 1915. Open seasonally, the lodge also includes a dining room offering three meals a day. The Lodge&apos;s Great Hall is an inviting place to relax and linger, or sit on the porch overlooking Crater Lake. There is a gift shop onsite and campgrounds and cabins available just outside the park in Mazama Village. 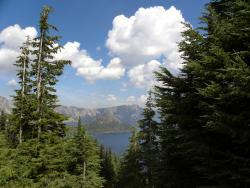 Embark on a scenic road trip to Crater Lake! There are two ways to drive to Crater Lake from Eugene - Springfield, weather permitting, and since both are spectacular, we&apos;ll leave the delightful decision up to you. The shortest route is along Highway 58 toward Oakridge. Jump right into the Cascades on a journey of mountain roads, waterfalls, woodsy hikes, hot springs and breathtaking views. 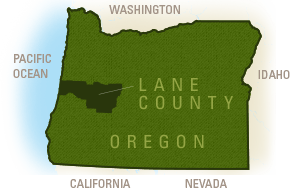 Or roll along Interstate 5 toward Cottage Grove indulging in pastoral scenes, wine country and historic sites. At Roseburg, follow the Umpqua River into the mountains.